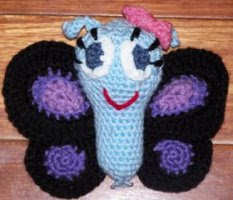 I was able to make this awesome butterfly. I did not have all the colors so I made it with two colors. Thank you so much for the fun pattern. I would post a picture here, but I am not sure how to do so.